Hi everyone, this is my newest etchall project. 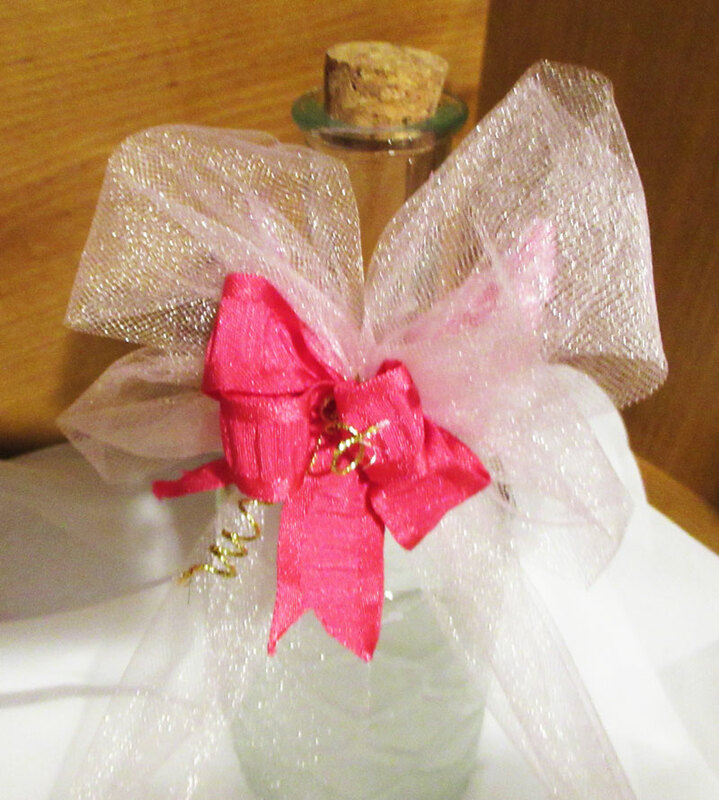 I found this amazing bottle and knew that etching it would really bring out the design in the glass. Place the weighted glass bottle in a plastic container then add etchall dip 'n etch liquid. I only wanted a portion of the bottle to be etched so I added dip 'n etch liquid to the top of the pattern on the bottle. Allow the bottle to sit 15 minutes. 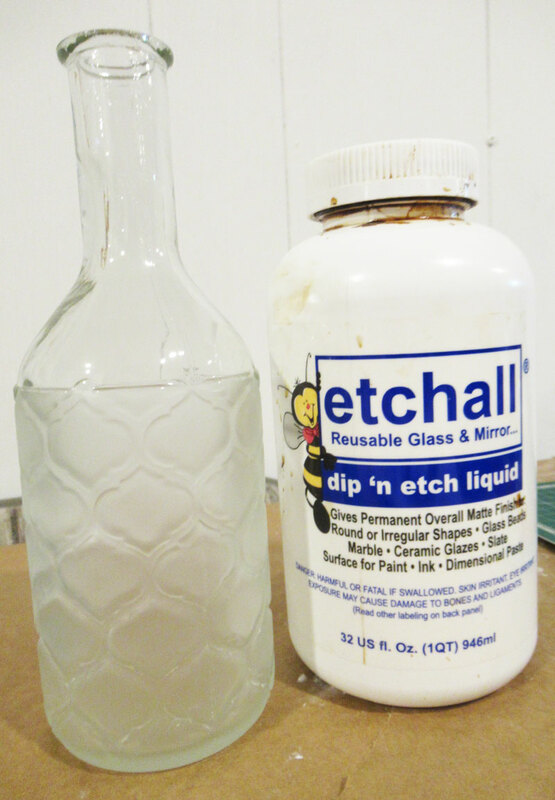 Remove the bottle and pour the dip 'n etch liquid back into the original container. 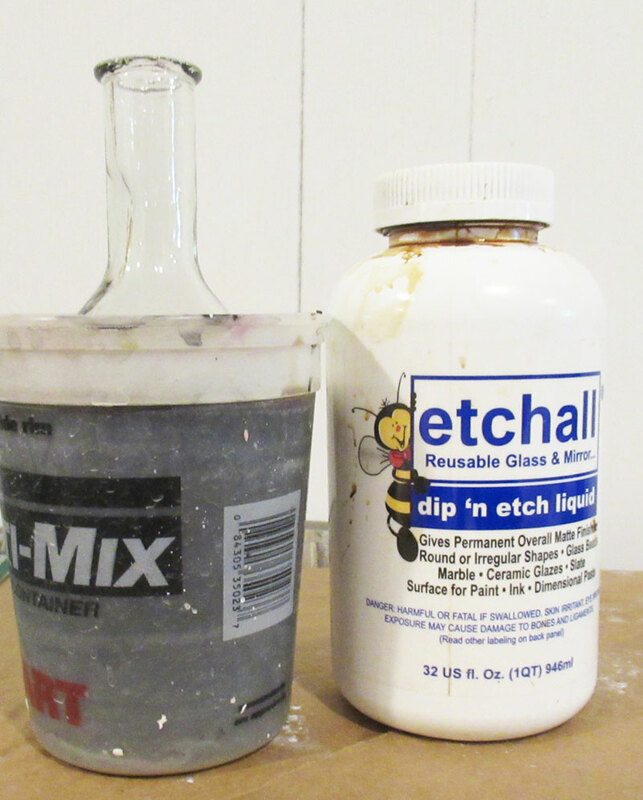 Since dip 'n etch is reusable, there is no waste. Rinse the bottle and pat dry. 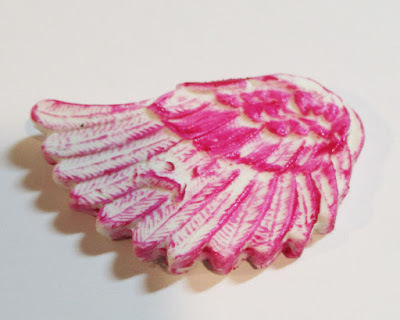 Create wings using a Prima mold with Makin'sⓇ white clay. 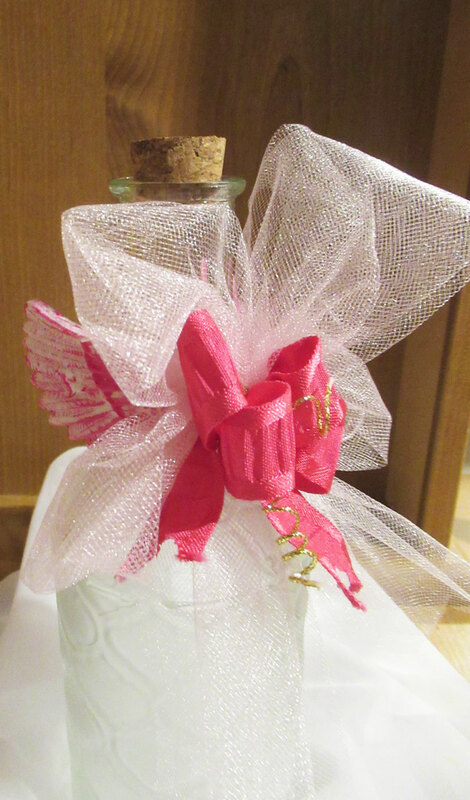 To coordinate with the selected ribbons, I painted the wings with pink acrylic paint. 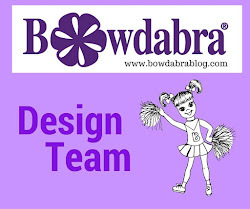 Create a bow using tulle and ribbon with the Bowdabra. Using bow wire, tie the bow to the bottle then bring the bow wire to the front and tie again. 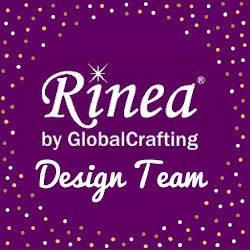 Use a craft pick to twirl the bow wire. Adhere the clay wings behind the bow. 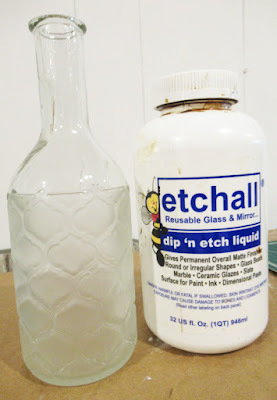 Love how dip 'n etch emphasizes the pattern on the bottle. 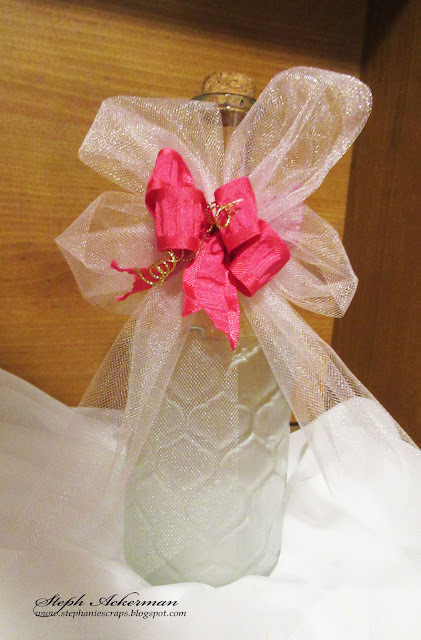 Wouldn't this make a sweet gift for someone special?